There are hybrid hellebores aplenty — even double-flowering ones — but plant them carefully: They’re still poisonous. 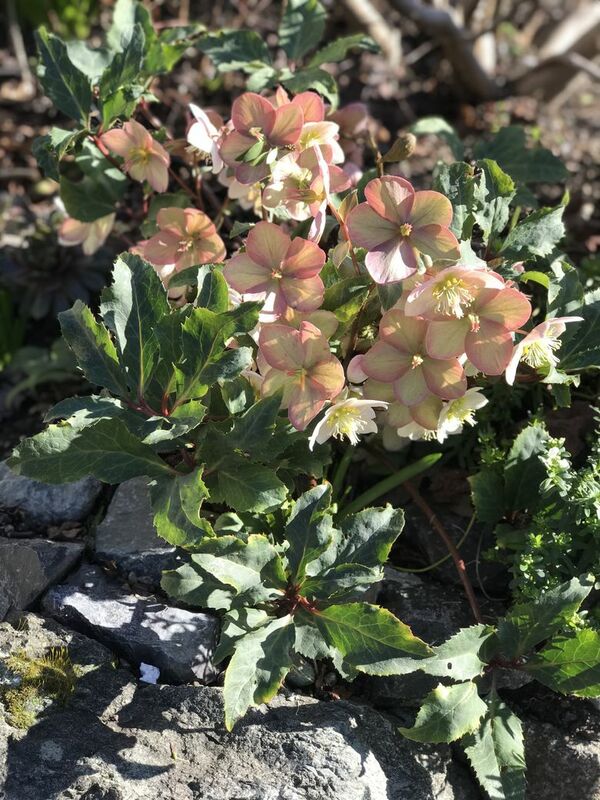 HYBRIDS OF LENTEN ROSE (Helleborus x hybridus) are the ideal perennials to add lively color in the late-winter, early-spring garden. They produce multitudes of flowers that come in a wide variety of colors and typically last for four months. They are drought-tolerant and pest-free. Even deer, slugs and snails tend to leave them alone. Not that long ago, single-flowering varieties were quite expensive, and multipetaled cultivars were unheard of. Now you’ll find an amazing selection of Lenten roses, including many double-flowered varieties, at your local nursery. When the first double-flowering Lenten rose became available, the demand was so high that you had to join a waiting list. I waited a full year to buy one, and a 1-gallon pot cost $200! Fortunately, due to recent intense breeding work, new cultivars — including many spectacular double-flowering varieties — are now available at more affordable prices. Two semi-doubles being introduced this year are Helleborus x hybridus ‘Vavavoom Pink’ and Helleborus x hybridus ‘Vavavoom White’. These compact plants reach only 6 inches tall and 12 inches wide, but create a big show with a lavish display of cheery flowers in late winter. The blossoms on ‘Vavavoom Pink’ have a white background, heavily speckled in bright pink. The white blooms on ‘Vavavoom White’ are lightly speckled pink only in the center. If you want to crank up the heat in your late-winter garden, try Helleborus x hybridus ‘Sun Flare’ (Winter Jewels series) or Helleborus x hybridus ‘Sunshine Ruffles’ (Winter Thriller series). Both flower with large, fully double blossoms. ‘Sun Flare’ features bright yellow petals margined in red, while those of ‘Sunshine Ruffles’ are glowing yellow-edged in maroon. When it comes to intensely dark double flowers, for some time the queen of the clan has been the wickedly beautiful Helleborus x hybridus ‘Onyx Odyssey’ (Winter Jewels series). The full, large flowers are so dark-purple, they look black. Even the emerging foliage comes out dark on this mysterious beauty! This year, however, there’s a new kid in town competing for the crown, and it surely must have been named for me: Helleborus x hybridus ‘Dark and Handsome’ (Wedding Party series) is a real stud, decked out with 3-inch-diameter flowers made up of big, silky black petals centered with an electrifying cluster of bright lime stamens for awe-inspiring contrast. 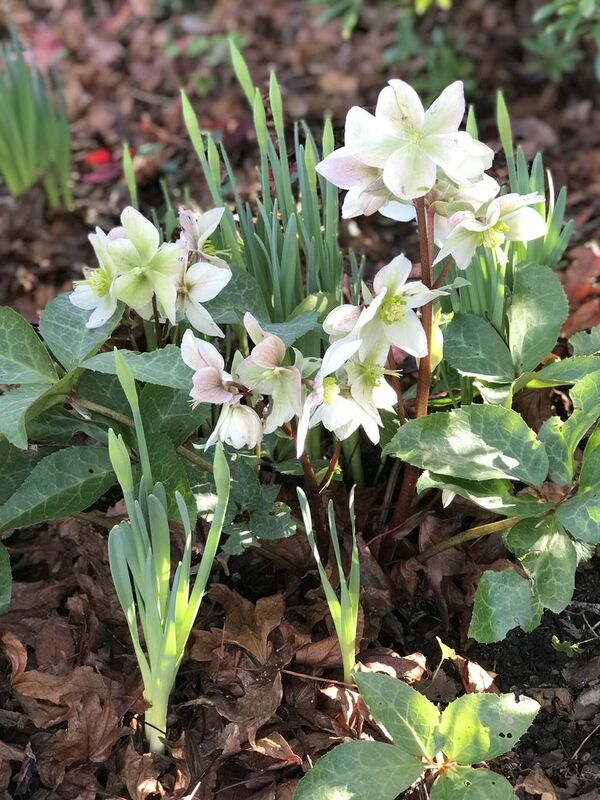 They might look somewhat delicate, but the double-flowering hellebores are proving every bit as vigorous and durable as their single-flowering brethren. Give them well-drained soil and partial shade, and they will perform admirably for years. As is true of all Lenten roses, the only maintenance required is to remove the old leaves as soon as new stems begin to grow, by cutting the old ones right to the ground. This normally occurs in late December, but if you did not do it, you still should cut down the old leaves, even now. Removing old foliage will help prevent the fungus disease botrytis, which can cause crispy, brown spots on the leaves. It also will allow the beauty of the flowers to show up much better. By the way, a great way to display the blossoms is to float them in a bowl of water. They will last longer, often up to two weeks, if you wait to cut them until the stamens fall off. Mix and match double and single flowers to make gorgeous combinations. Finally, be aware that all hellebores are quite poisonous, so don’t plant them where toddlers or pets can get at them. Evidently, back in ancient times, herbalists didn’t know about the plant’s toxic qualities. An ancient Greek myth claimed that the daughters of King Midas were saved from insanity by taking a potion made of hellebore; therefore, all through the Middle Ages, anyone suffering from anxiety was treated with a concoction of the most toxic species. Aren’t you glad you didn’t live in the Middle Ages? Ciscoe Morris: ciscoe@ciscoe.com. “Gardening With Ciscoe” airs weekly on KING 5; check local listings. David Miller is the Pacific NW magazine art director.